Internet marketing and SEO can be hefty elements when it comes to consumption of our time, so it comes as no surprise that you’d want to maximize the effect you are having when producing content, marketing products and engaging in other forms of paid or organic SEO behaviour. Unfortunately, all too many have become accustomed to the routine of publishing content as often as possible in order to maintain a perceived advantage. Depending on your brand, this may or may not be a good idea. 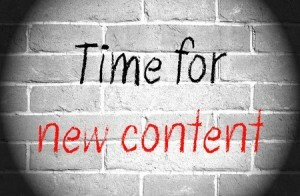 How often should you publish content when seeking to balance time with effectiveness? We’ll discuss your options below, and the pros and cons of each path taken. Conventional SEO wisdom suggests that we should strive to publish content daily (or as often as possible). The argument is that by pinging links more often, you create more chances for individuals to find your website or blog through search engines and social media. While this is true to some degree, it does also embrace a quantity over quality effect as it pertains to content strategy. The more posts you have to promote, the less time you will have to produce a viable and repetitive marketing emphasis on each one. Blogs that post one per week have more time in between each post to adequately ensure that each post is being seen by everyone in their audience who would be interested. Ultimately, your brand will have to determine how “active” or engaged its audience is, and how often they expect updates. A news blog will need to continue posting regularly; another type of blog might not be tied to this logic. As mentioned above, most people decide to create content daily or as close to that interval as possible, but some brands and blogs have found true success while only posting once per week or so. How can this be true? The first element behind this trend is that quality content trumps all: a well-written piece of content is not only going to be received well by an audience, but by search engines as well. Secondly, there is a stigma in the minds of many that sites that publish content consistently are “farming” revenue for themselves and poor content for everyone else (think about pop culture criticism of BuzzFeed, for instance). If your niche is one that moves slower than most news outlets, then you can get away with a weekly posting schedule – and have more time between each project to properly distribute it. This is where you may find yourself on the other end of the bell curve in terms of effectiveness. Even relatively static niches need to be producing content in such a way that continues to give audiences reason to return to your site or blog. While publishing once per week or so is perfectly fine in many cases, stretching posts out too much beyond this interval will weaken your ability at pinging links effectively and reaching the top of search engine results. As always, there are examples of blogs that post monthly and still have high amounts of traffic, but this is entirely the exception (and not the rule).